Alberta Education Minister David Eggen says Jason Kenney’s position that parents should be notified when their kids join a gay-straight alliance shows his true views. Alberta Education Minister David Eggen says Jason Kenney's position that parents should be notified if their children join a gay-straight alliance is an "extremist" view. "Jason Kenney has shown, once you scratch the paint off a little bit, you find the extremist that he actually is," he said. 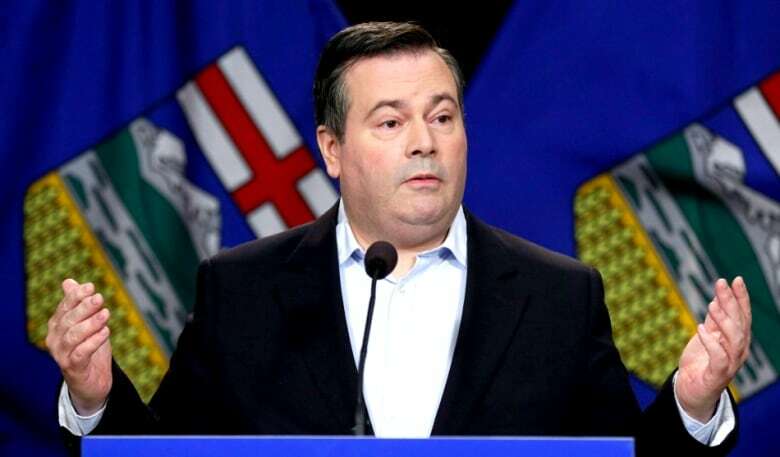 Kenney, the newly elected Alberta Progressive Conservative leader, made the comments during an editorial board meeting with Postmedia in Calgary on Tuesday. "I do, however, think that parents have a right to know what's going on with their kids in the schools unless the parents are abusive," Kenney said. "I don't think it's right to keep secrets from parents about challenges their kids are going through." But Eggen said a notification provision may "out" students who haven't yet revealed their sexual orientation to their parents. "If the government is compelling people to out those students in a very compromised situation, then they are only serving to make the situation even worse," he said. In the same Postmedia interview, Kenney said the NDP government was too aggressive in making religious schools follow the law, which compels all schools to allow gay-straight alliances when students ask for them. The PC leader would not make himself available for an interview Wednesday. Instead, he posted a statement on Facebook, where he said it was false to say he wants to force schools to out children. He said informing parents would be inappropriate in some cases. "I trust teachers, principals and school counsellors to exercise their judgment about such matters, and that there should be a presumption that most parents are loving and caring, seeking only what is best for their children," Kenney said in the Facebook post. "The law should neither force schools to release information to parents, nor should it create an adversarial relationship between parents and their children." Kenney said if he becomes premier, he would not repeal the law that compels schools to allow gay-straight alliances. Eggen acknowledges that legislation doesn't have a provision to prevent schools from notifying parents. The minister said he is looking at the law to see how it can be strengthened. Both the Calgary Board of Education and Edmonton Public Schools say they don't notify parents when children join gay-straight alliances. The leaders of two of Alberta's four opposition parties in the legislature criticized Kenney for his views. "We feel that this stance by Mr. Kenney demonstrates his social conservative credentials and why he is not fit to lead Alberta," Alberta Party Leader Greg Clark said in a statement. Alberta Liberal Leader David Swann said young people need to decide when they are ready to come out to their parents. He worries that parental notification will scare LGBT students away from GSAs, which can offer them support and a safe place to talk. "It remains to be seen how far Mr. Kenney is willing to push this," Swann said. "The appearance is that he wants to interfere in what was a fairly clear statement of principle and practice for these GSAs. "And we're quite clear, I think — most of us in the progressive community [feel] that this is appropriate, the way it is written, and it must be followed the way it is written to protect and ensure safe and inclusive schools." The Official Opposition Wildrose Party, which is currently talking to representatives from Kenney's party about uniting the right, suggested the decision on notification should be left to individual school boards. "When it comes to the issue of notification surrounding student participation in a voluntary club, including religious groups, anti-bullying clubs or GSAs, the law currently allows for local school boards to exercise their best judgement based on the circumstance on whether or not notification will be granted to parents," the party's education critic, Leela Aheer, said in a statement. "Wildrose has always defended respecting local authority and decision making and trust the extraordinary level of care, love and compassion that boards, principals, teachers and counsellors have in fulfilling their mandate to provide safe and caring spaces for students."